A G+IV Building Wide Roads in front. 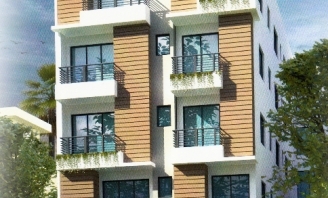 Ground floor parking and flats. 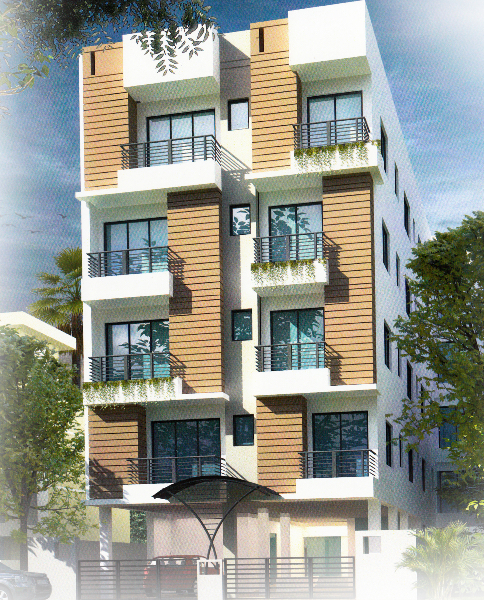 Total 19 flats are there in the building – 18 flats are 2BHK and 1 flat is 1BHK. Total building make of branded materials ,cement to iron, sanitary to tiles, putty to colour. From switch board to electric wiring, maintaining quality. Flooring – tiles.